Life is an all- encompassing word. We have different definitions and interpretations of it. Here is a beautiful essay of life contributed by a friend. I was asked to write something about life. Well, I thought it’s just so easy I can churn up tons of things about it in a few hours. But when I touched the keyboard and I stared at the blank page of my computer, I suddenly don’t know what to write about. I am 23 years old and have an incurable disease. It has been years past that I was diagnosed with this condition. I’ve experienced recurrent visits to the doctor, survived a number of complications and surpassed emotional stress and psychological challenges. One day, I decided to get enough sun by strolling at a nearby park. It was a few days after I was cleared from a mean respiratory infection. Walking along a grassy patch when I stepped on an empty, wrinkled cocoon attached to a dry twig. I mindlessly turned to a paved pathway where the growing hibiscus blooms in profusion when I saw something flew out from the bushes. It was a small orange butterfly. 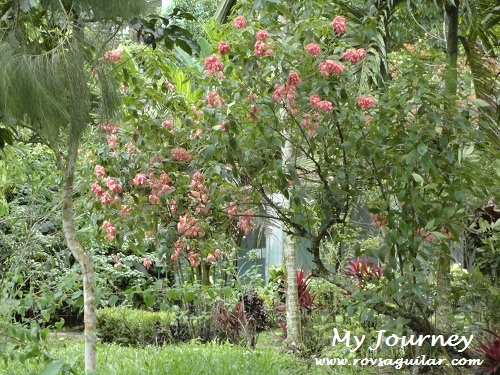 It flew from flower to flower, from a leaf to a branch, disappeared among the hedges and glided smoothly up in the air. That moment, I felt a mixture of sadness and envy. But what suppressed these gloomy emotions from building up into streaks of tears was the eventual understanding that to live is a choice. We constantly face hardships and struggles that we oftentimes forget the purpose why we are here. We are all conceived because of love and the ultimate purpose why we are here is to become instruments of positive change, to share happiness and joy and do our part in making this world a beautiful place to live. We learned from the sages how to live stronger and longer. Modern day scientists study intensively how to achieve longevity and combat aging. To live does not mean to escape from the natural cycle of life, acceptance of what is and letting go of what are meant to happen are the things the great men of our time has left for us to live by. John Gardner, an American novelist said, "Life is the art of drawing without an eraser." He emphasized stunningly the significance of having passion, about living life to the fullest and without any desire to manipulate or change anything that happens. It is sad to think that because we are preoccupied with our daily tasks, our pains and sufferings and busy thinking about the future that we have no time to slow down and relish in the delight of being able to breathe. We have no memory from the time when we were born and our thoughts disappear when we die, but in connection with our lives, most of us forget how to live it. We work hours and hours to bring food to the table and pay our bills and we are always driven to achieve all things that will make our lives comfortable and surprisingly we never become happy. If we only start to think that we have to live as humans and accept our humanity in its most basic form then we will realize that life isn’t bad after all. Life is simple. We are born, we live and we die. All the twists and turns are God’s creative plan for us to better understand the purpose why we are here. Like that small butterfly, it does not worry that it will soon die; it just simply did what it is made to be, to become a butterfly no more and no less. I may never live long but I know the race isn’t about the years I spent but the quality of life I made. 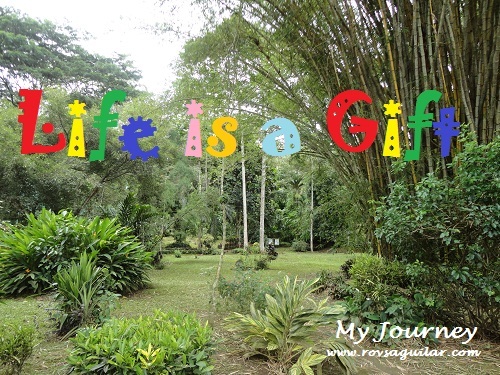 Indeed, life is after all a gift that we should all be thankful for. If we weren’t here, we wouldn’t be able to experience the joy and happiness it brings. Let us live our lives meaningfully. We only live once and we need to do it right. Originally published on Oct 15, 2015.
indeed, life is simple, and happily, it is simply to be thanked for. you have a very beautiful composition about life. Indeed, life is beautiful in every aspect. It depends to us how we look at it. I remember one of the composition that I enrolled at this time and the instructor as me if "I am a writer"? I don't know what I have to answer her.Lol! and she told me start the word "LIFE" and you know what it is? life may have its ups and downs. some people may have hard time accepting the downs because they are too occupied with overwhelming feeling what the UPS have brought them. i guess, life should be balance -for us to truly enjoy whatever comes our way. sorry to know about your incurable disease, we may be on the same boat, but so thankful also that life taught us and opened our eyes and heart that life is so worth living and so wonderful despite our struggles , yes, it is very important to learn to stop and just enjoy hearing ourselves breathing in breathing out and be more cognizant of the beautiful sounds around. i so love your composition. Aptly written teh!Just curious who was the author teh? 23 years old with incurable disease? That is really sad! Anyways, If I may just add that to be able to live life beautifully, meaningfully and gracefully, we have to start counting our blessings, no matter how minute it is, it comes from Him and we should always have a grateful heart. Everything we have is all borrowed and we are mere sojourners. This gift can be easily taken away from us at anytime. Life is precious but it is not ours to hold on to forever. Therefore, one must make the most out of it. And yes, count each and every blessing that may come our way. May you enjoy what's left of the week teh! Love and hugs! I can tell that even though you have that kind of challenge in life, you are able to talk about it positively, thus making your life less complicated. I admire your attitude. Keep it up. "Life is too short! Grudges are a waste of perfect happiness. Laugh when you can. Apologize when you should and let go of what you can't change. Love deeply and forgive quickly. Take chances. Give everything and have no regrets. Life is too short to be unhappy. You have to take the good with the bad. Smile when your sad. Love what you've got and always forgive. Learn from your mistakes but never regret. People change and things go wrong. But always remember…Life Goes On..."
The author is a friend of a friend and wishes to share her thought about life.